Christmas Fern has green, shiny foliage. 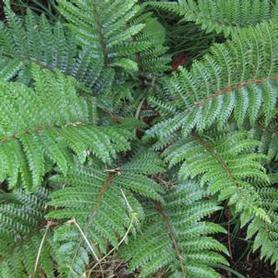 Polystichum acrostichoides is an evergreen spreader that looks like a Boston Fern. It hugs the ground in winter. 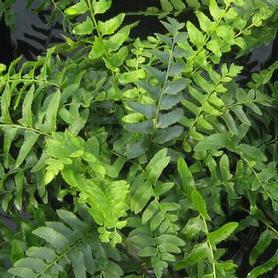 PRN Preferred: We love the hardiness and the neat evergreen foliage of this fern. The delicate, symmetrical evergreen Tassel Fern has dark green lustrous foliage. The fiddleheads when emerging have bronzy fuzz on them for an interesting effect. Polystichum polyblepharum makes a dense, attractive evergreen clump.